I started working on a set of memory cards awhile back since I have so many illustrations from the Talee and the Fallen Object Coloring Book Adventure to choose from. I thought it would be a fun way for kids to engage with the story as well as work on their memory skills. I know I used to love playing memory when I was younger. The illustrations are the same illustrations from the coloring book, except of course I colored them in and changed some of the elements to make the image easier to read on a 2×2 card (You can see the differences in one of the illustration below). I also add some shading to help Talee stand out more in the illustrations. At first I was planning to leave the illustration flat with no shading or changes from the coloring book, but after printing them out I think they could use a some shading to give the scene more depth. If you look at the photo on the upper left you can see the illustration with Talee on the bed is easier to read and maybe even easier to remember then the others. And since Talee is going to be a lot smaller on the 2×2 card I also need her to have just a little more pop. To help with this I think once all the illustrations are done I’m going to go back and add an overlay layer just on her to brighten her up and to give the illustrations continuity. It will help pull her forward in the illustration and give the background some depth. It’s Kid Fun Time again. I just recently published my new WorldsToDiscover.com site and added some new coloring and activity sheets along with it. 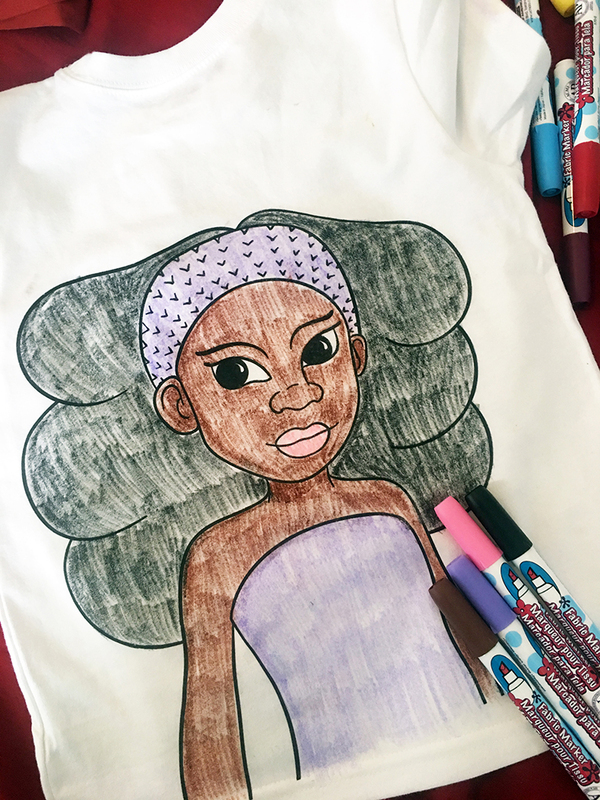 Stop by, download the free coloring pages and activity sheets, check out the site and let me know what you think and use promo code: IMAGINATION for 10% of your purchase. Would love to have some feedback. Have a good Monday! I hope you had a great weekend. I went walking at Lake Lanier this weekend and had a great (almost) 4 mile walk. It took us a while to get around, but we were in no rush and stopped along the way to see the sites. Trees, trails and of course the lake. Since I had a Talee book and stickers with me I thought it would be fun for Talee to go on the hike with me. Here are some of the photos from out journey. The shirts are colored, washed and I have the results. 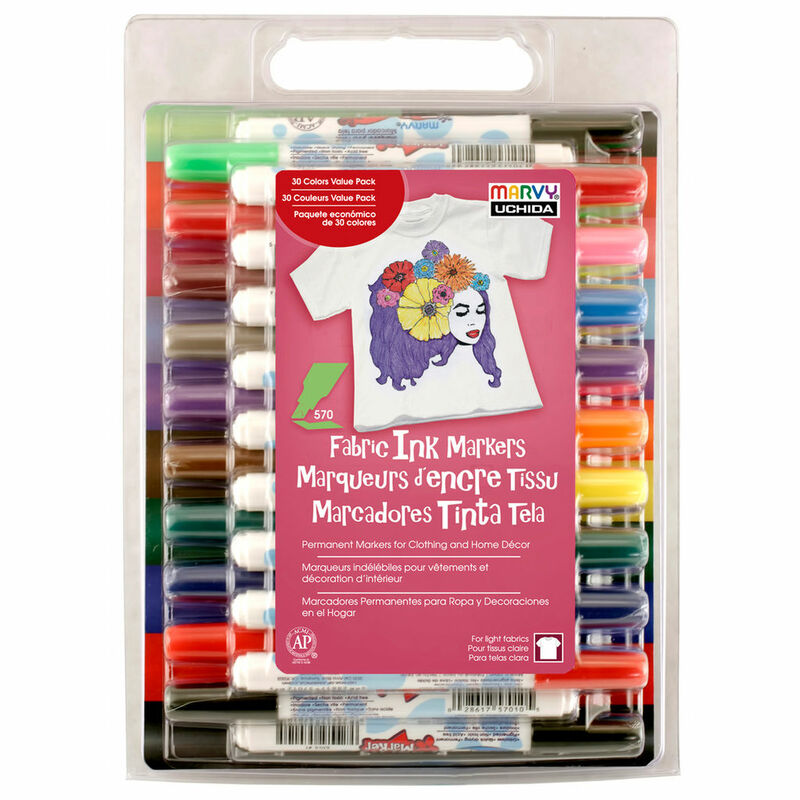 This weekend I brought some Marvy Uchida Fabric Markers and I must say, when I was in the store looking at my options I thought I would love them. I paid a little over $20 for the set, after my 40% off Michael’s coupon. Not the cheapest set I saw but I loved the color options and since I planned on designing more coloring tees in the future I’m sure all the colors will come in handy. Unfortunately, they’re not my favorite makers. I’ve never used fabric markers, so this is all new to me, but I didn’t like how they colored on. The lines came out so choppy and the process wasn’t fun. One of the things I like about coloring is that it’s fun. I’m sure they have a line of wide tip makers that might work better for coloring in large areas and maybe there’s another way to color but I would think it would be intuitive with the way I naturally color. 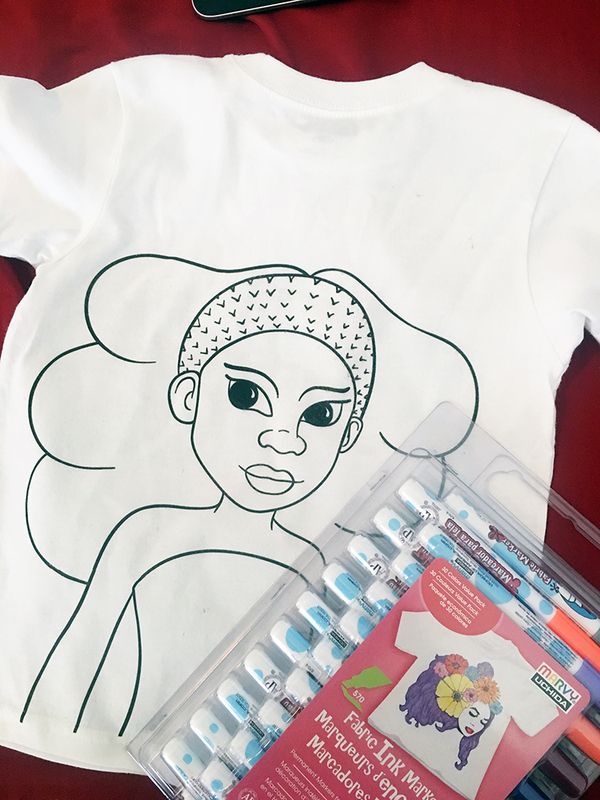 I did however like the vibrancy of the colors on the white t-shirt, although one of the markers was dried up when I opened the package; wasn’t happy about that, but overall the richness of the colors are a lot better than the Play Day Washable Markers I used a week earlier. Not that the colors with the washable markers were bad. I just like the vibrancy of the fabric markers better. Although, if I had a design with a lot of smaller areas like a flower I would probably use the fabric markers because of the vibrant colors. 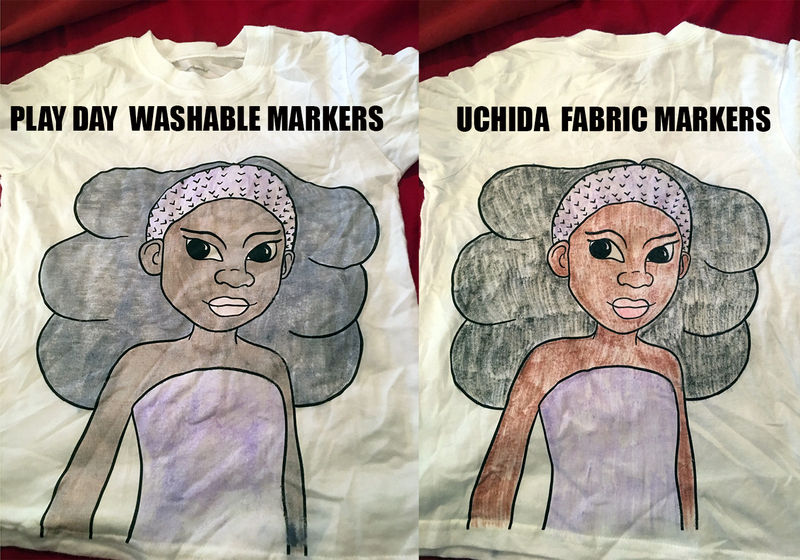 One of the things I did like about the washable markers was the easiness to color the shirt. The tips were wide and the markers were easy to use one the fabric. The fabric markers just felt more laborious to me. So, when I setup at festivals and take sample shirts for kids to color I will be taking the washable markers. They are cheaper and coloring with them is more fun. One of the things I didn’t like about either set of makers was that I got ink smudges on my hand as I was coloring. To help with this problem I ended of covering part of the shirt with paper to keep from getting marker on my hand. The good news is that the fabric marker came off in one wash. The washable makers took a little bit more time and washes. I’m not sure how many washes it took. Wasn’t paying attention. After I had both sides of my shirt colored, washable marker on the front and fabric marker on the back, I decided to wash the shirt to see how the colors held up. My expectations were that the washable makers would wash out and the fabric makers would fade a little. I washed the shirt along with a hand towel to see if any of the colors would bleed off. Which they didn’t. But I was surprised to see that the washable makers only faded. The color held up well. But this might be because I waited a week to wash the shirt, and I washed it in warm water first. The second wash was with hot water like the directions stated. Note… The directions also state that items should be washed immediately, which of course I didn’t do. I expected the fabric markers to hold the color well and they did. I would guess they would last for a good number of washes.